US online children’s network BatteryPop has picked up animated series LoliRock and Get Blake! under a one-year deal with Zodiak Kids. BatteryPop has picked up SVoD rights to the first season of LoliRock and Get Blake! in its entirety. Both shows hail from Zodiak-owned Marathon Media. 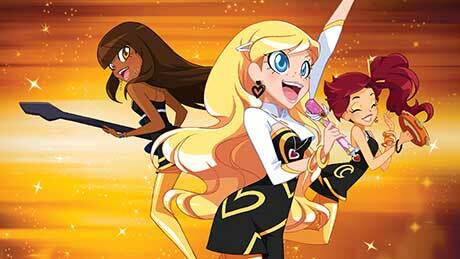 LoliRock (26×26’), an animated series about magic, mystery and music, was originally produced for France Télévisions. Get Blake! (52×11’), produced for Nickelodeon and Gulli, follows a 13-year-old boy and his best friend who constantly find themselves under siege from three alien squirrels. It is directed by Daniel Klien and exec produced by Eryk Casemiro and Derek Dressler. Zodiak Kids owns worldwide distribution and licensing rights to LoliRock and Get Blake!